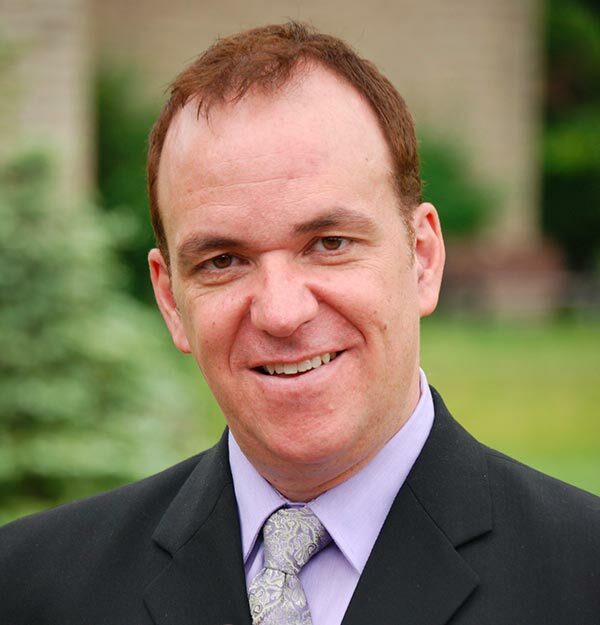 Robb has been our most in-demand wedding officiant across Metro Toronto for a number of years. He is fluent in French and English. Spend a few moments talking with him and see for yourself how engaging he is. He has an amazing personality and sense of humour that allows people - including your guests - to feel very welcome and comfortable. You will be assured of a day to remember, highlighting the unique ceremony that will be yours to treasure. Robb's compassionate and non-judgmental approach along with his unique outlook on life and love will ensure that he will help create a wonderful wedding ceremony for you and your loved ones to remember. A word of caution: Robbie books up very early because is really is the best! Robb McDonald went above and beyond to make our vows and our day exactly what we were hoping for. We had numerous comments from our guests about our vows being the funniest and best they've ever heard. He went out of his way to ensure everything was perfect. He was very friendly and our guests enjoyed mingling with him after the ceremony. We enjoyed every moment of our wedding and Robb made it even more perfect. He kept everything light hearted and fun. We are far from serious people and Robb fit right in. Thank you so much Robb McDonald for being such an important part of our wedding last Saturday. We both appreciate the time you took with us making sure the ceremony was a reflection of us and represented our feelings for each other. The written ceremony would still not have been as wonderful if it had not been for your impeccable delivery and wit. Many of our guest commented on how wonderful you were. I can truly say you were the perfect person to perform our ceremony and Paul and I are very grateful we found you. 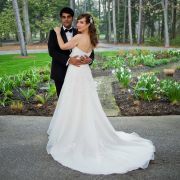 Thank you again and we will definitely be recommending you and All Seasons Weddings to our friends in the future. Brad and I want to extend our deepest thanks for your pivotal role in our wedding ceremony, a ceremony that was all that we desired - warm, intimate, loving... and humorous! We appreciated the care with which you identified our needs & aims in the initial meeting, as well as the clarity with which you defined the process. On the day of the wedding, you took the time to check in with each of us, to ascertain our states of mind, and to assure us. Your warm, intimate delivering of the ceremony allowed us to fully enjoy this incredibly joyful, and powerful, moment in our lives together. And we were touched by your warm words of congratulations afterwards, by the perceptiveness from which you clearly saw us for who we are together. Rob McDonald is the best! We want to thank Robb McDonald from the bottom of our hearts for giving us the wedding ceremony we have always dreamed of. It was simply magical and you were amazing! Comedic and professional...everything we could have hoped for. I cannot tell you the amount of people that commented on the ceremony after the wedding. Our friends and family absolutely adored you, as did we. We had a number of people telling us that it was the best ceremony they had ever experienced and that you were fantastic. People are still talking about you to this day! I cannot begin to thank you enough for making our special day one we will never forget. We would recommend you to anyone in a heartbeat! Again, thank you, thank you, thank you for surpassing all of our expectations for our wedding. Robb McDonald more than exceeded our expectations! He was extremely helpful with incorporating all of our ideas into our ceremony and made us feel like we could have had our wedding anyway we wanted. He was honest, charming and funny before, during and after the ceremony. Our parents absolutely loved him as did all of our guests. We feel truly blessed to have had Robb McDonald officiate our wedding! I would definitely refer All Seasons Weddings and Robb McDonald! Robb McDonald exceeded our expectations in both the planning and delivery of the ceremony. We were both very happy with how Robb took the time to get to know us and worked with us to create a ceremony reflective of our relationship and feelings for each other. He was also great on the wedding day and helped to make sure everything went smoothly. The guests also enjoyed him. Everything was beautiful. We were extremely happy with your service and would recommend you to friends. Above and beyond!! Robb McDonald was professional, friendly, and helped us with every aspect of planning the perfect ceremony. He was available to answer questions, he met with us to explain different options, and he was knowledgable of the different religious traditions. He made us feel like we were the most important couple he had dealt with. Our guests were so impressed with his presence, his presentation skills, and his genuine and authentic care. I was so grateful when he came early and waited with our family members, took pictures with us, and even helped the groomsmen with their ties and boutonnieres. I can't wait to thank him when I speak to him next! We were so fortunate to have found him!!! Best service I have seen in a long time! Robb McDonald was outstanding and we hope to always keep in touch with him. He was absolutely perfect and so helpful. We fell in love with him immediately!!! In his email signature is a quote from a well-known singer that says, "The more you invest in marriage, the more valuable it becomes." Well, we can tell you that of all involved in the 'production' of our wedding, no one was more invested in making our ceremony a success than Robb. We feel so lucky to have had an officiant who was not only charismatic and engaging with a great sense of humour, but also knowledgeable, supportive and genuinely committed to making our day even better than we could have imagined. Even with all his experience and laurels, he brought a level of enthusiasm and energy as if it were his first ceremony. Our family and friends were impressed by his professional and warm delivery. Our guests hung on his every word and we even overheard someone whisper, "Why can't all weddings be like this?" Most importantly, Robb was a solid partner in building a ceremony that incorporated all the things we wanted and facilitated it in a way that allowed us to truly shine. He gave us the gift of the most beautiful experience of our lives -- for that we are incredibly grateful and can't thank him enough. We would recommend Robb time and time again. If you're looking for someone who you can connect with, who will guide you through the process, who will just let you both be you and deliver well beyond what you imagine your wedding to be... then don't look any further. Good morning Robb We are now back from our honeymoon. Mitch and I want to take the time to thank you for your attention to detail and professionalism on your performance during our wedding day. We received many compliments from our guests, both francophone and anglophone. You made us feel comfortable and at ease during the biggest moment of our lives. Thank you for being comforting and honest with us. The ceremony was memorable : you helped us make our vision a reality. Robb, we cannot thank you enough for all that you have done for us. Truth be told, from the moment we met with you, we had no doubt you had everything organized. You understood our vision, and made sure to share your every thought with us. Our marriage ceremony was beyond perfect. From the bottom of our hearts, thank you thank you thank you. Robb McDonald was sincerely the most professional, attentive and empathetic person throughout the whole process. We were so impressed with his personal and friendly demeanour, and the efforts he made to making our ceremonies just absolutely unique and beautiful. Robb was there for both our intimate marriage ceremony with our parents and siblings back in December, and after he already exceeded our expectations he did it all over again when he officiated our reception and vow renewal in August with our friends and family, and the baby we are now expecting. We truly found a great match in Robb when it came to working together to create beautiful memories for our families and our guests. Thank you Robb for your encouragement, support and passion for what you do! The administrative process was wonderful. Easy. Straight forward. Constantly communicated and followed up with. Thank you Kathleen for your help! A thousand times over. In fact a few of our friends have already been in touch with All Seasons in the last few months after experiencing our wedding and hearing about how easy and professional the whole process was. We really want to echo our sincere gratitude and love for Robb McDonald who turned an already magical day for us into an absolute fairytale. Thank you for all your help and I hope the comments above about your service make it to you! Robb McDonald exceeded our highest hopes for our special day, He was enthusiastic, sincere, personal and heartwarming. 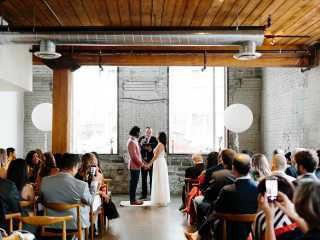 What started as a quick elopement ceremony turned into a joyful experience for everyone involved. We would HIGHLY recommend him for any service you are planning. All correspondence was quick and easy to understand, no hidden costs. Robb McDonald is our Hero! We are very grateful we had Robb McDonald for our wedding, he has been an amazing officiant! 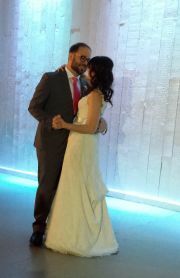 The ceremony was beautiful, lively, simple, fun, and bilingual! Having families from Canada and France, Robb was able to bring two cultures together and switch between languages in the smoothest way. The organisation of the ceremony was really well managed, and everything was easy for us. Robb helped us find the right words for the ceremony, and left space for it to be personal. Robb is a warm, genuine, kind person. We highly recommend him. Thanks a lot Robb! From our very first meeting, we knew we had chosen the right Officiant. Robb (McDonald's) sense of humor and sensitivity made our special day even more special. We had such wonderful feedback from the guests about the ceremony. Our wedding theme was "It's About Time" as we have been together for 26 years with a pile of kids & grandkids between us. It is time for us! Thank you Robb from the bottom of our hearts for helping us to create this memorable day, despite the fact that I apparently married a 'fetus'. Just a little more humor in the life of Rick and Val. We both feel that a lifelong friendship has been started with you, Robb and look forward to many more laughs. Robb McDonald surpassed our expectations. He was extremely helpful prior to the ceremony giving us advice as well as informing our families of how the ceremony was going to go. He was able to adapt throughout the ceremony (it was EXTREMELY hot) the day we got married and he knew right away that we (my husband and I) didn't want to stay outside for any longer than we had to. Robb also stayed after the ceremony and spoke to our guests. He made us feel like he really cared and was not just there to make a buck. He was amazing! All Seasons was extremely professional, punctual and helpful from the very start. Even when we were just looking for an officiant, All Seasons treated us like we were already clients. It was a very seamless and easy process and was one of the things we felt we didn't have to worry about. The instructions on how to apply for a marriage license was also very helpful. Absolutely. I would refer All Seasons to all my friends and family looking for an officiant/officiating service. Robb - you are an absolutely amazing officiant! Nick and I were so lucky to have found you. We had SO many compliments on our ceremony and we owe this to you. You were fun, light hearted and made our ceremony something that we will always remember. Not only that, after the ceremony you went above and beyond your job description by getting me drinks, and helping me look beautiful in my pictures. I cannot thank you enough. I would absolutely recommend you to anyone looking for a wedding officiant. We wanted to thank you (again) for helping make our day exactly how we envisioned it. The ceremony was perfect for us - just the right amount of everything! Afterwards we had several guests share with us that this was the best ceremony & officiant they had seen, so thank you!! We wouldn’t have changed a thing! We cannot say thank you enough to Robb McDonald. We had met with him a couple times prior to the ceremony, and after meeting him, I knew within 5 minutes that he was the perfect choice for us. He is kind, personable and caring. He truly wants to make each couple's ceremony meaningful and memorable, and will spend the time ensuring that it is just that. The ceremony he performed was perfect, he kept the audience engaged and he really made us feel that the ceremony was just for us, not a typical generic ceremony. I had multiple guests ask me "where did you find him?!". Again, we really cannot say thank you enough for helping us create the most memorable ceremony that was truly beyond what we imagined. Thank you, Robb!